Facebook has become the largest social networking site. It has over 700 million users all over the world. Nigeria is not left out in this. Everyone has the same and equal opportunity to make Facebook whatever you want to make it. People make real money online through Facebook. I also make money online through Facebook. The truth is, most of my money comes from Facebook. In this post, you will see how this is done. In this short and impactful post, I will be revealing Top 5 Ways people like you make real money from Facebook. Before I go ahead, I need to ask you this question. What would you do if Facebook is yours? You can think about this question and answer it using the comment box further below this post. I will be looking forward to your response. Now to the thing that brought you here. This is the 5 ways you need to know and start using so as to rake in more money from Facebook like I do. The things you will see below are so simple that you can start in few minutes from now. If you need help, you can get all the help needed from me. Also, I assume you already have a profile on Facebook. If you haven’t go ahead and get one. Yes, create Facebook groups. Not just Facebook group but relevant Facebook groups that people will join without you forcing them to. You can start this as soon as possible. Before you rush into this, find a good topic for your Facebook group. This should be a topic that most people search for. Once you get that settled, go ahead and create the Facebook group. The same thing that applies to Facebook groups applies to Facebook pages. The only difference is what you use the Facebook group or Facebook page to do. Go ahead and create a Facebook page. Then do all you need to do to get Fans for your Facebook Page. If you need help with creating a Facebook Page, please reads the following posts. The third way you can make money from Facebook is to use Facebook Advertising. You can help people advertise their products and get paid for the services you offer. You can also market people’s products on Facebook and get paid for doing so. This is one of the best way people make huge returns from Facebook. You can make purchases of any of the products and get the opportunity to resell them. If that is your decision, I would be glad to offer you the products at a discount. To get this done, make a choice of the products you want and get in touch with me through the comment box further below. I will reply you as soon as possible. This is a goldmine for you if you know how to build web applications. Facebook users make a great use of Facebook applications daily. This helps us to interact better with our friends and families across the globe. You will be making a lot if you can start your own Facebook Applications. You make money three ways with this. 1. By selling the application. 2. By displaying your products or services ads with the applications 3. By requesting for donation from people who use the applications. The truth is, some applications are easy to do. You can also check the lists of Facebook application. You can get inspiration from them. This is the last and the best. Of a truth, you would not make any MONEY with Facebook group, Facebook Page, Facebook Advertising or Facebook Application if you don’t have something good to sell. You MUST have a HOT product or a service you are selling. This is where the money is. And also, to sell in large quantities, you must have a large customer base. If you really desire to make money from Facebook, make sure you put into practice all you have read above. I may need to add that you should become a celebrity or someone with authority on Facebook to make more money from it. This is one of the things that helps me a lot in making real money from Facebook. So, go ahead and put what you have read into practice. 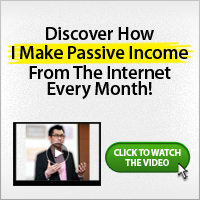 If you need help with this, I’ll be willing to assist you to make money via Facebook. Kindly drop a comment on this post and I’ll reply you. Pls wat do you mean if i have reached a resonable level. Is there a level to reach before I start with the steps mentioned above?? ?